Hi everyone, My apologies for being late with posting my creation for this week for Sunny Challenges and Creations. If you havent entered for this weeks challenge.....what are you waiting for? Our daughter married on Saturday and things are only just now starting to settle back down. 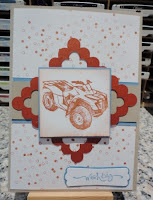 The sketch this week was done by Kris and the added challenge was to use the colours Cajun Craze, Crumb Cake and Marina Mist. The colour combination screamed 'masculine' so that is how I went. I used Crumb cake for the card itself then topped it with Whisper White which I had randomly stamped with the Confetti stamp set using Cajun Craze. For the centre band I laid a strip of Marina Mist topped with Crumb cake, then I cut a small Scallop Square using the Big Shot, and then laid it over the larger Scallop Square to make it a frame. I set that as a diamond on top of the centre band and it shows sections of both the band and the stamped background. I used Cajun Craze to stamp the image from Need for Speed set onto Whisper White which I backed onto a piece of Marina Mist. 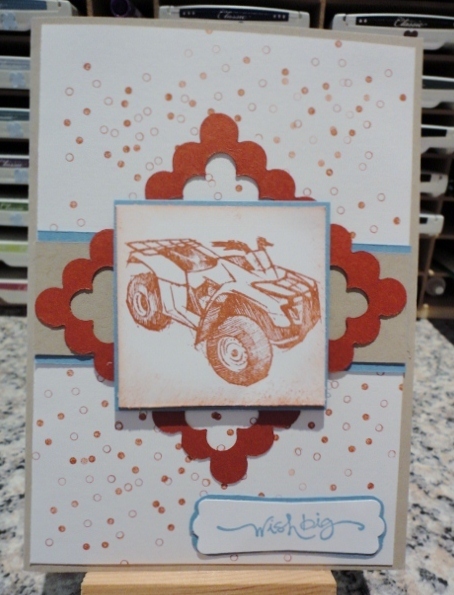 The sentiment is from the Short and Sweet set and I used Marina Mist ink on Whisper White card stock. I punched out the frame for this from the modern label and layered that onto another piece of Marina Mist. I was stumped for a bit doing this challenge, but the stam set Need for Speed certainly came to the fore! I hope you like my creation and be sure to check out Kris' blog and also Vicky's blog and have a look at their wonderful works! Gwen, I love this card. 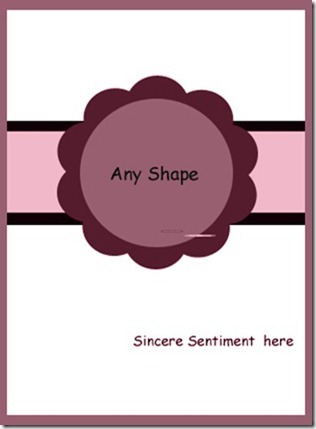 I think this stampset is just fantastic and you have used one of my favourite images. I love the confetti background. Great masculine card.